CCTV installation is a bit like I.T. – when it works, you seldom really think about it… it’s only when things go wrong – or it stops working as it should – when we start concerning ourselves! And just like IT, over the last couple of years camera systems are becoming more and more prevalent in businesses around the country. Whether it’s a warehouse, office, or restaurant, CCTV has become an integral part of many a business’ security systems. Got an outdated image in your head that CCTV is clunky, low quality, and cumbersome? Modern systems are affordable, record in HD, and allow for real-time surveillance from a variety of devices (so you can check in even when you’re not at work). Security camera systems do a lot more than just deter criminals from targeting your business, however! #1 Cameras can stop crime… before it even starts! It’s plain and simple: cameras are a great way of boosting security at your business. The vast majority of break-ins are opportunistic. Would-be thieves make snap decisions when targeting businesses and houses. They consider whether they can get in and out quickly, without raising a ruckus or being spotted. With that in mind, what’s the most obvious defence against thieves? Anything that increases their risk of being seen or identified! Don’t just take our word for it – burglars themselves say that barking dogs and CCTV are the most effective deterrents. Barking dogs draw attention to their illicit activities. Cameras on the other hand can dramatically increase their odds of being identified and caught – something a burglar is obviously trying to avoid. Combined with alarms and secure locks, CCTV can be very effective at stopping crime at your business – in many cases, before it even starts! Many businesses have particularly high-risk or accident-prone areas. Factories might have particularly risky sections in their assembly line or areas where flammable materials are stored. Cameras in these areas can help identify potential crises before it’s too late. Cameras can also be installed in accident-prone areas – does your business have a particularly congested passage or crowded loading bay? 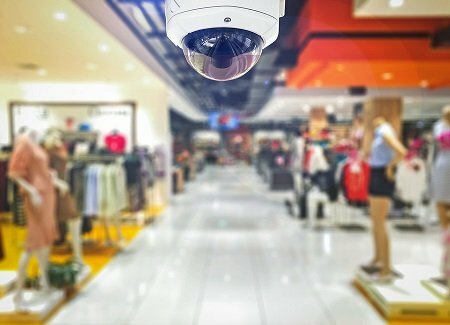 Strategically-placed cameras can be an important life-saving tool if your business has these types of risks. No-one likes to think that their employees are up to shady business. As unfortunate as it sounds however, in many cases that’s exactly what happens. Workplace theft costs the Australian economy $1.5 billion a year and can cost individual businesses thousands! Needless to say, CCTV cameras are an effective tool for encouraging good behaviour at your workplace. After all, who’s going to pinch from the register, nick off for an unapproved break, or start drama when all of their actions are being monitored? Additionally, cameras can also encourage your customers to be on their best behaviour. There’s a common stereotype that insurance companies will do almost anything to get out of paying for incidents that are fully-covered on paper. In some cases, insurance companies can be overly cautious at best when assessing your claims unless there’s solid evidence to prove otherwise. If you’re worried about your insurance company not taking your side, CCTV provides undeniable evidence of fault (or lack thereof) for those times when you need to claim insurance. You can’t be at the office all the time. And with CCTV coverage, you don’t have to. Most modern camera systems come with internet connectivity, allowing you keep an eye on your business from your preferred device with a click of a button. Cameras can also be used to keep track of your home! With CCTV, you can monitor elderly relatives and your children while you’re away, helping you respond to any potential emergencies as they happen. 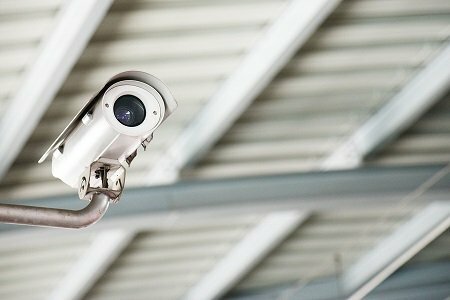 Searching for CCTV installation in Melbourne for your business? Get in touch with Briggs Electrical! If you’ve been thinking about CCTV installation at your office or workplace, we encourage you to get in touch with the expert security team at Briggs Electrical. And it’s not out of reach for your home either – today’s CCTV systems are popping up in homes all over the country as well! Whether you want to safeguard your business or want peace of mind for your home, there’s only one number to call – ours! Call now on 1300 300 222 or book a job with us today.